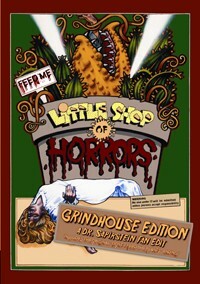 This grindhouse edition presents this Frank Oz musical with its infamous original 25 minutes deleted ending reinserted into the film (featuring the death of Audrey 1; the lost musical number “Don’t Feed The Plants”; and the destruction of New York by the carnivorous, mean green mothers from outer-space), and brings to this 1986 remake a black and white, “grindhouse” look, similar to that of an old print of the original 1960 Roger Corman classic. With the release of the Director's Cut in 2012, Dr. Sapirstein decided to retire this fanedit. The theatrical ending has been deleted and replaced with the unreleased and longer one. This was a fun edit. It was great to see how this movie could have looked, but the grindhouse effect was a little annoying at times. And now that I look back on it, this really isn't a grindhouse film. It's just basically degrading the picture and adding the alternate ending. It was, of course, a matter of time before someone attempted this one, that is, putting back what’s arguably the most famous deleted ending in film history. And, given that said ending has only been seen in an unfinished, 4:3, black and white version, the only possible way to reinsert it is what Dr. Sapirstein has done: downgrading the rest of the movie to match that workprint visually. And the result is convincing enough, even if it still looks a tiny little bit too polished in comparison to the ending, which has softer contrast and more intense, uglier whites. However, it’s nothing obvious and the visuals are uniform enough. As for the ending itself, I’m ambivalent: I prefer it to the Hollywood conclusion that got released, but I still think it tries too hard to be big and loud and spectacular, for a story which until that moment had kept itself in a small scale and worked wonderfully at that. The boom-bang coda, while great on its own way, just feels too rollercoaster blockbuster. To me, the perfect ending would happen either when Seymour gets eaten (similar to the end of the Corman version and the Broadway play), or as a VERY reduced version of the big mayhem sequence. But this edit is not about that, anyway… I also wish James Belushi’s credit had been removed and Paul Dooley’s put back, yet that’s nitpicking. All in all, while this version won’t replace my copy of the original, it’s a very welcome alternate that I’m glad I’m able to watch. 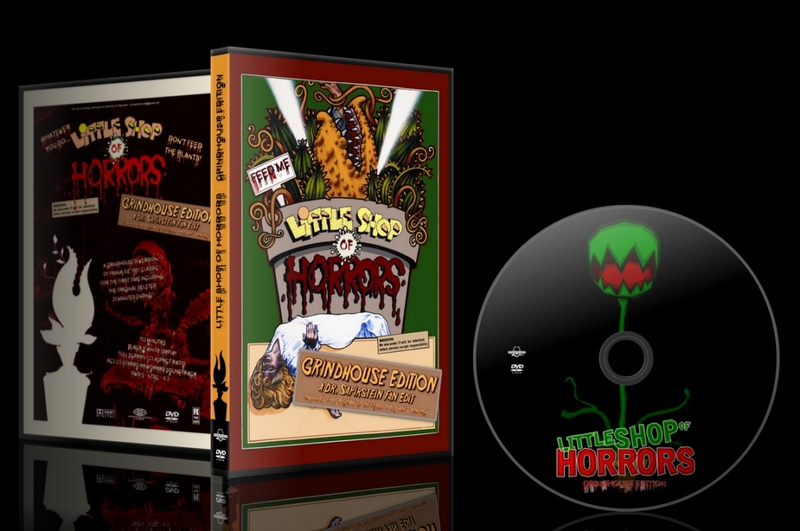 Video and audio quality are great on the DVD. No extras, though… Having the Corman movie (since it’s on the public domain) as an easter egg, Tranzor style, would have been fun. Overall, I’m feeding this one a 9/10.